There are 4 levels of participation - I'm opting for The Darkness Within - 5 novels with gothic elements. But I might end up reading more, we'll see. It sounds fabulous, doesn' it? 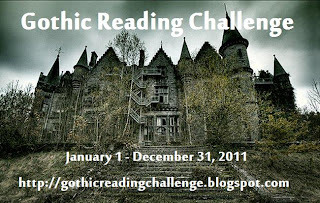 :-) When I started making a list of potentials I went a bit crazy, it seems that loads of gothic books have been on my TBR list for a long time! My possibilities are below - do you have any other suggestions?